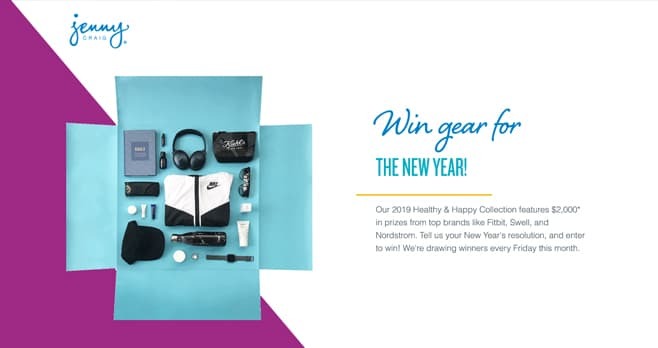 The Jenny Craig Healthy & Happy 2018 Giveaway is open to current legal residents of the 50 United States and the District of Columbia (excluding Arizona and Rhode Island), age 21 years and older. The Sweepstakes begins on Tuesday November 27th at 12:00 am PST and ends at 12:00 pm PST on December 28, 2018. Limit one entry per person. The grand prize consists of a $2,000 Nordstrom gift card. Visit www.jennycraig.com/hh-giveaway to enter and see Official Rules for details.